"Through me the way into the suffering city. Through me the way into the eternal pain. Through me the way through the Lost People." 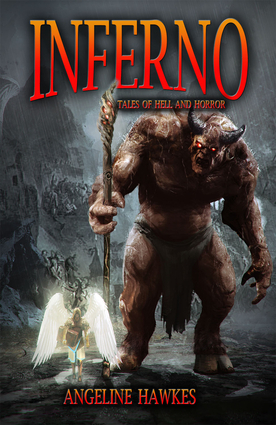 Prepare yourself, gentle reader, for within this book, the angel Obadiah and his reluctant demon guide travel the length and breadth of Hell's nine circles and commune with 25 souls as part of a census of the damned. Angeline Hawkes, co-author of Night Wraith, brings her prodigious talents to bear on these twisted tales of sin and depravity. Bear witness to the fate of those who indulge in violence, greed, and other deadly sins throughout history. Abandon all hope, you who enter here! A 2006 Bram Stoker Award finalist, Angeline Hawkes has seen the publication of novels, novellas, collections, fiction in 40+ anthologies, and over 100 short fiction publications. Angeline often writes collaboratively with her husband, Christopher Fulbright.